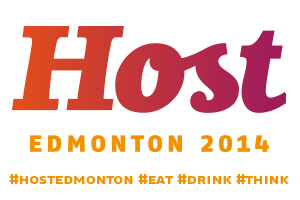 The inaugural Host Edmonton conference is coming to Edmonton next week - has anyone already purchased tickets? Having the chance to learn about the conference and meet Kevin Brauch back in March had me excited! 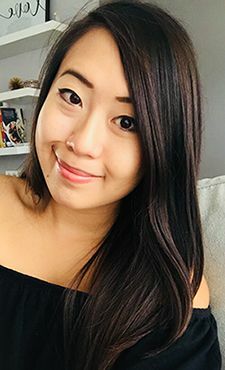 The conference is primarily geared towards the hospitality industry, but Host Edmonton also wants to bring out home cooks to share the conference experience. Host Edmonton is a combined trade, food, and educational show that puts you in the mix with top hospitality professionals, exposing you to trends, techniques and ingredients that are guaranteed to elevate your next home or restaurant hosting experience. The conference is open to all people with a passion for food and delivering great hospitality. It takes place May 22-24, 2014. The conference kicks off on May 22 at 7PM at the Shaw Conference Centre where you can mix and mingle with celebrity chefs and treat yourself to some fine food and drinks! The Sheepdogs are playing that night, so it's going to be a ton of fun. Ryan Jespersen will host and guide you through a sampling of what the conference has in store to celebrate Host Edmonton’s premiere. But I haven't forgotten about the conference itself. Over Friday and Saturday there are numerous sessions, demos, and keynotes that are led by some of Edmotnon's finest culinary talent and celebrity chefs alike. You can sit down and listen to one of your favourite Food Network hosts - it beats sitting in front of the TV and watching them, right? The full conference schedule can be viewed here. So what does this have to do with you? I want you to join in on the fun with me at the conference! Follow the instructions below. To enter, you must specify whether you'd like to attend the kick off party, conference, or both. Leave me your email address in the giveaway widget below. Please make sure you leave a valid email address, as this is how I will be contacting you. This giveaway is open to everyone able to attend the conference from May 22-24. All entrants must be 18+ years of age or have guardian permission to enter. You have until May 20th to enter, and the winners selected by random and be contacted via email. All winners must confirm their attendance by May 21st 12PM MST or a new winner will be drawn. Good luck! I would love to attend one of the pairing dinners! Great contest! Would be an awesome experience! So nice to see this type of conference in Edmonton! Would love to attend the whole weekend but will likely just pick one or two things to attend.